After the Happily Ever After comes parenting. 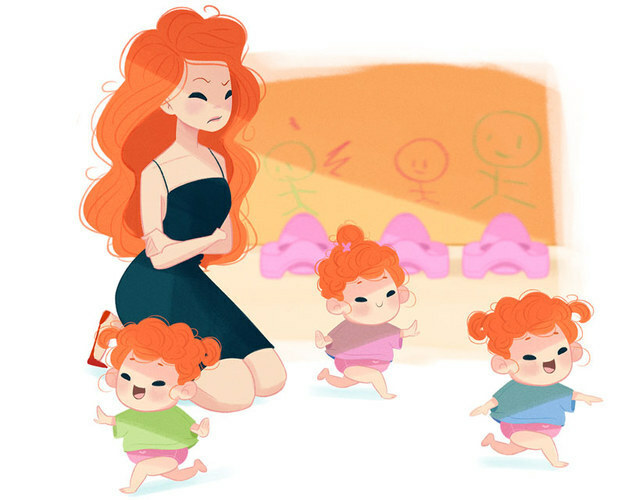 I’ve always wondered what the Princesses would be like as moms. 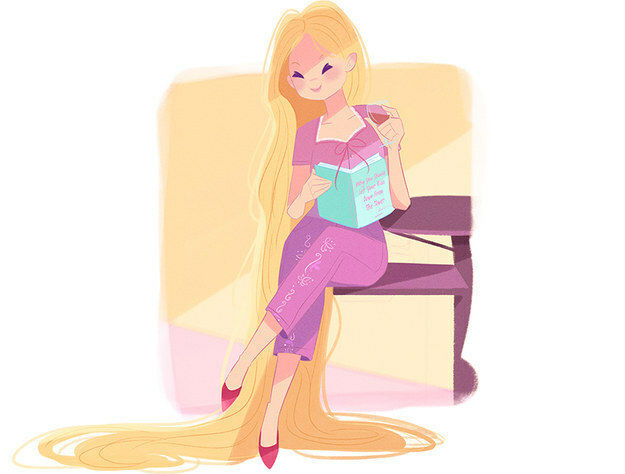 Her mom life: Rapunzel was stuck inside a tower her entire childhood and has vowed not to subject her kids to that. She’s now a “free-range parent,” and even wrote a book on the subject, Let Your Kids Down From The Tower. 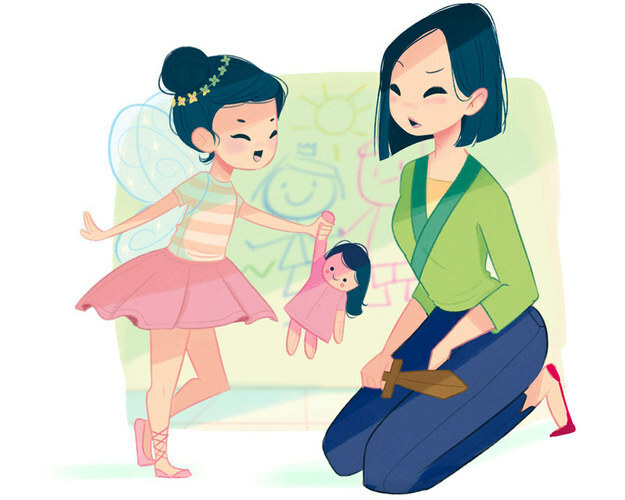 Her mom life: Mulan has a super-girly daughter who she does not know what to do with. 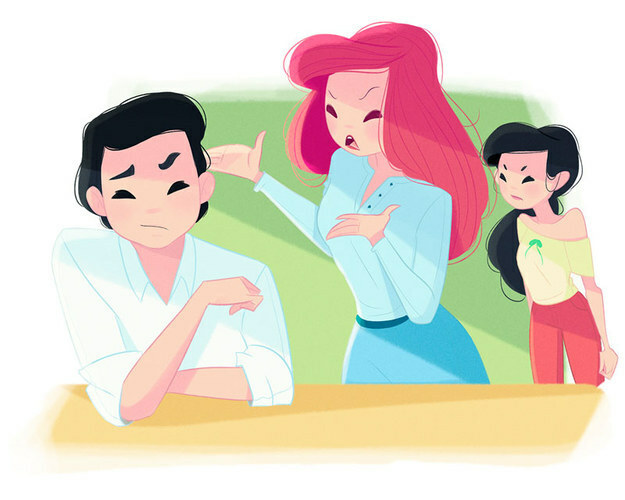 Many nights she complains to Li Shang, “I singlehandedly defeated the Huns, and yet she worships Miss Chen from next door because she’s good at makeup! 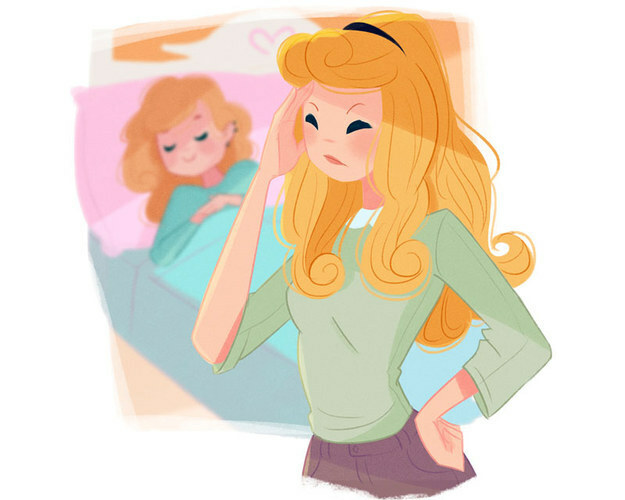 Her mom life: Aurora has a teenager who sleeps in way too late. 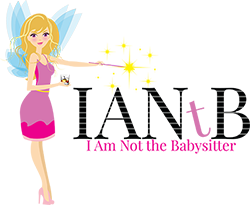 This drives Aurora nuts, but when she calls her daughter on it she says, “Whatever, mom. Dad says that when you were my age you slept for days! Thanks to Buzzfeed for fulfilling my need to know what happens after the beautiful wedding and the credits start to roll. Kid Rocks Poolside Dance Version of Cuban PeteWatch Piper See Clearly for the First Time. Her Reaction is Adorable.